East Ithaca apartments are ideal for those who want an easy commute into Downtown Ithaca or up to Cornell, while also enjoying a more natural setting. 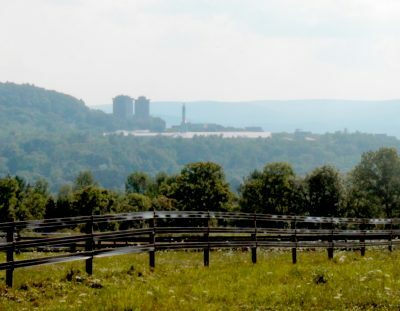 East Ithaca stretches into the rural farmland that surrounds the Town of Ithaca — with more open spaces, less noise, and a lower cost of living. Nearby local attractions make apartments in East Ithaca an affordable alternative to living in the city center, without sacrificing quality of life. 117 Honness Ln. – 2 units; (2) 3BR, off-street parking available. 119 Honness Ln. – 2 units; (2) 2BR, off-street parking available. 110 Pine Tree Rd. – 2 units; (2) 2BR, off-street parking available. 1414 Slaterville Rd. – 2 units; (2) BR, off-street parking available. East Ithaca sits above Six Mile Creek and to the south and east of Belle Sherman. To the west, East Ithaca turns into the Town of Dryden (not to be confused with the Village of Dryden, which is the town center to the north.) Just across the creek from the East Ithaca neighborhood is South Hill, which is accessible via the Giles Street bridge over Wells Falls; the neighborhood also borders Cornell along Route 366. East Hill Plaza – This suburban shopping center is an oasis for those who live in the East Hill area and want to save a trip into town. The Plaza includes a grocery store, a pharmacy, a liquor store, and one of Collegetown Bagels’ three locations in Ithaca. Agava Restaurant – Well off the beaten path for downtown restaurant-goers, Agava Restaurant offers some of the best Southwest-inspired farm-to-table cuisine in Ithaca. The restaurant has a spacious bar and plenty of outdoor seating on the back deck. Agava serves lunch and dinner seven days a week, as well as brunch on the weekends; there are also live music events almost every month, including a weekly salsa dance party. Reis Tennis Center & Squash Courts – The < a href="http://reistenniscenter.com/">Reis Tennis Center is affiliated with Cornell University and supports the Cornell tennis teams; they also offer tennis clinics and private lessons to the public. The Center has six Plexi-pave indoor courts and six outdoor courts, plus squash courts. Court reservations are available 24/7. Six Mile Creek Vineyard – Six Mile Creek is one of Ithaca’s most popular local vineyards, located right across Slaterville Road/Route 79 from the East Ithaca neighborhood. Six Mile has a beautiful sun-filled tasting room with a back deck looking out over the vineyards. This is a very popular venue for special events, and occasionally hosts live music during the winemaking season. 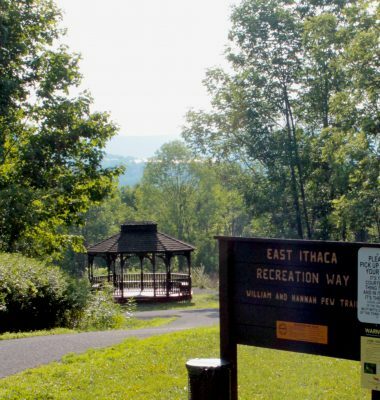 East Ithaca Nature Preserve – The East Ithaca Preserve is a public green space with woods and a gazebo; it connects with the East Hill Rec Way, providing access for runners, hikers, and cross-country skiers in the winter.